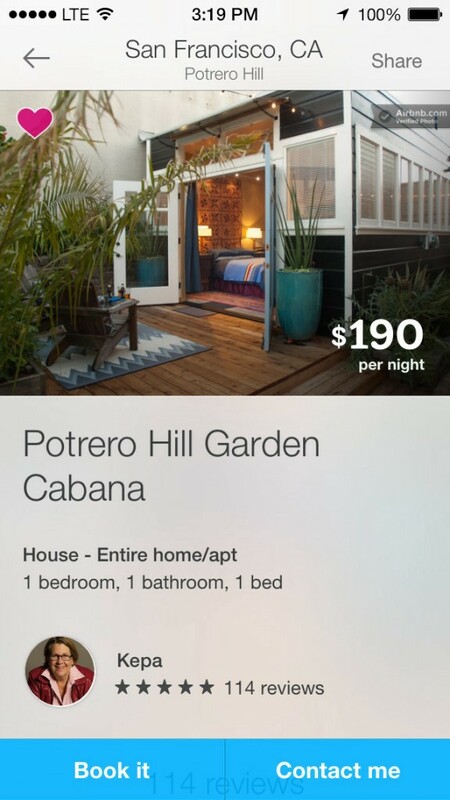 Airbnb has always been a company focused on design and pixel-perfection. The iOS7 redesign represented an opportunity to break the mobile application down and build it back up again. We developed an internal suite of tools to allow our design team to select from a predefined set of swatches (fonts, colors, paddings, etc. ), which leads to increased cohesion by decreasing the number of “one-off” design elements. In addition, the code is cleaner than ever; designers and programmers alike can know at-a-glance that the spec and the implementation are at parity. 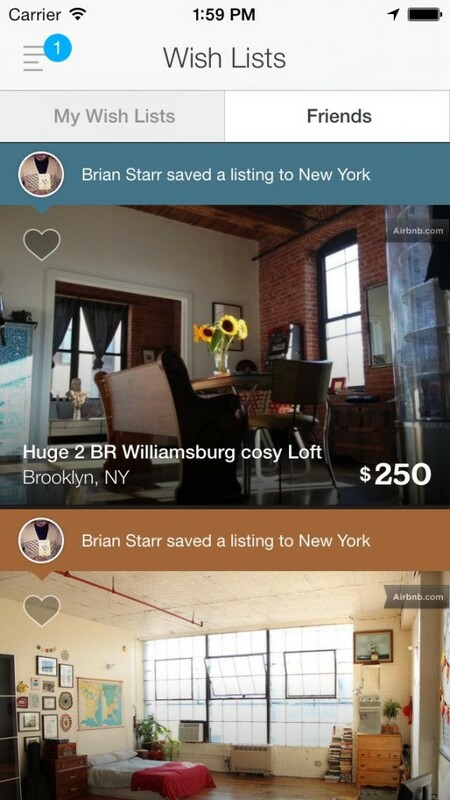 When a user opens up a listing, the header image is blurred and placed behind a semi-transparent white background. This creates more procedurally generated variety: each listing has a unique look and feel, yet the effect is subtle enough to not be jarring. Proprietary blurring algorithms (since Apple has not release theirs) cannot be executed real-time (eg, even on high end devices it takes more than 1/30th of a second to blur an image). In addition, blurring adds a second step to downloading an image from our content servers (it would be visually jarring to show a sharp image, and then replace it with a blurred version). However, these steps are hidden through use of fade animations. Not only is visual impact maximized through large images, but the lack of dividing lines and other constraining UI elements leads to a boundless feel. As the user scrolls down, many views use a parallax effect and rule of thirds to hide header images and make even more room for content. As the guest proceeds through the booking process, the app has one last surprise. 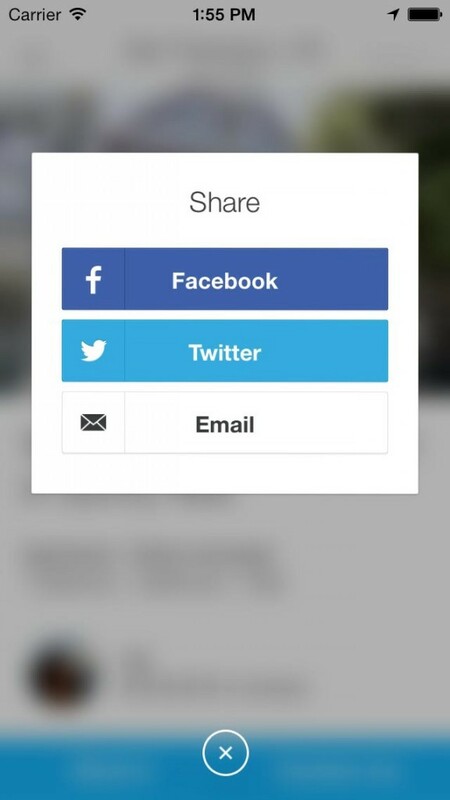 Modal windows (such as the share, book, and contact views) take advantage of animations to smoothly morph one screen into the next. UIDynamics anchors the experience to the real world, through the detection of gravity and acceleration, in a subtle but compelling way. Increasingly, good app design has become about showing only the right things at the right time (especially important on small screens). This tactic is only effective, however, if users are encouraged through enjoyable interactions to explore the application: otherwise the true power will never be discovered. 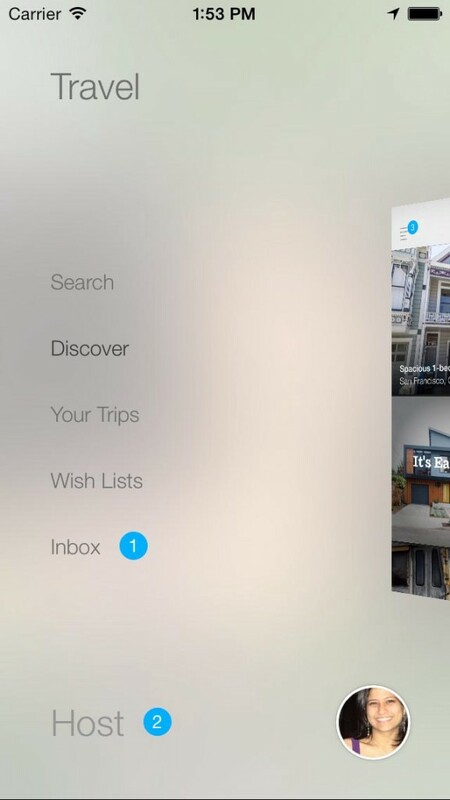 The iOS7 redesign of the Airbnb application accomplishes this by staying out of the user’s way as much as possible, while calling attention to the most compelling aspects of travel. Originally published at nerds.airbnb.com on November 11, 2013.